ok, so it’s not a next day posting, but it’s better than 4 months, right? So, today’s category of knitting recap: Ravelympics 2010!! I entered a few projects and only completed 2. That’s ok though, because the other 2 will get finished this week. I am just happy to have project lives shorter than a year and a half (I’m looking at you, Arwen). First, The Boy wanted some fingerless mitts for the winter. Now, since the olympics started in February, this seemed a bit odd timing, but what the heck. I took a simple fingerless pattern and added a scarlet stripe flanked by two grey ones. 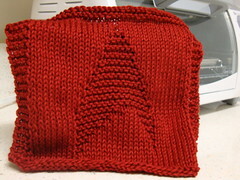 Secondly, I knit him some washcloths to match his bathroom scheme. (what? washcloths are simple, and I’m lazy!) 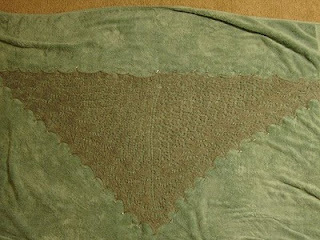 Here is the finished Star Trek Badge washcloth, knit in 100% pima cotton. 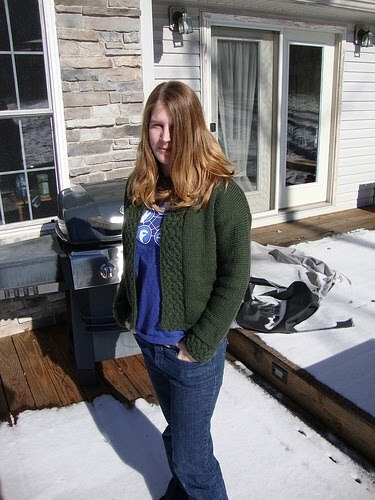 I got halfway through the Heather Hoodie Vest, and some colorwork mittens. 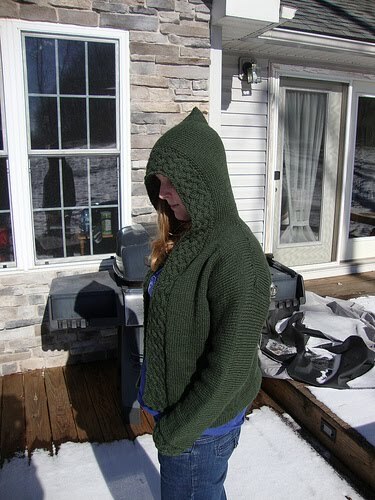 In non-knitting news, check out what else I’ve been spending my time doing! 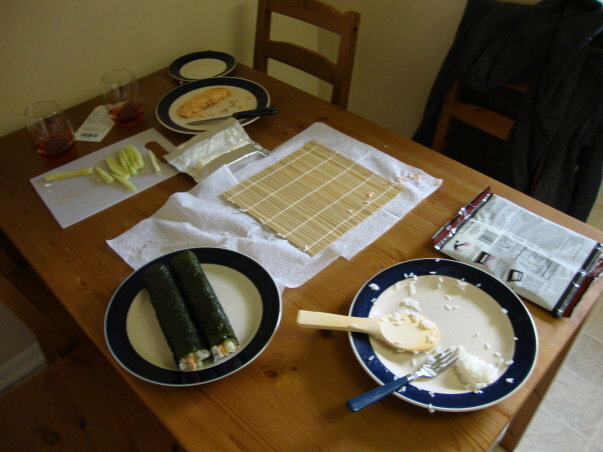 Here is our first- ever attempt at making sushi- we cooked some salmon since we couldn’t find sushi grade that day. 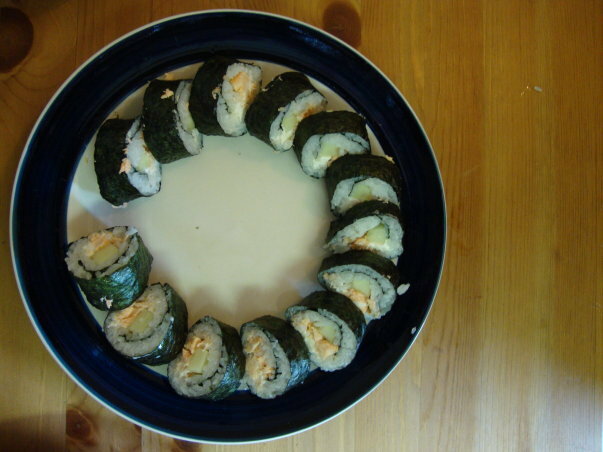 It turned out delicious! We were proud. We’ve also been taking to making our own ethnic cuisines, or just trying some interesting side dishes. 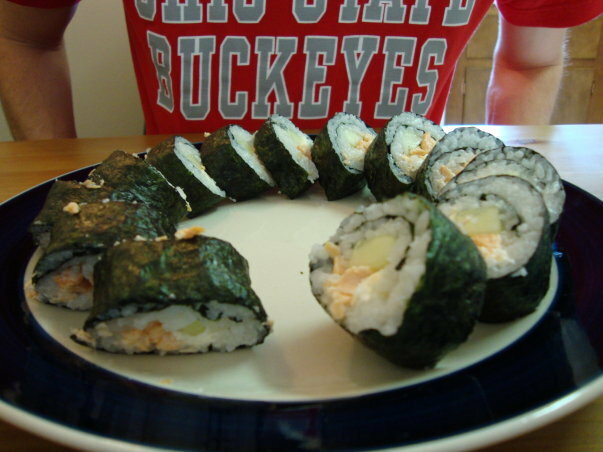 Over the next year I hope to broaden my culinary skills significantly. The next few weeks are going to be busy- and not a fun busy, unfortunately. June 1st The Boy moves out of his apartment, and June 23rd he’s leaving for a 1 year tour in Japan. I am busy trying to save up to visit him at least once, but it seems fate doesn’t agree with this plan. Oh well, we’ll see. I really do fail miserably at this blogging thing! Life has just been really hectic the last few months, to say the least. so…where did we leave off? Ah! January. Well, I met most of my resolution. 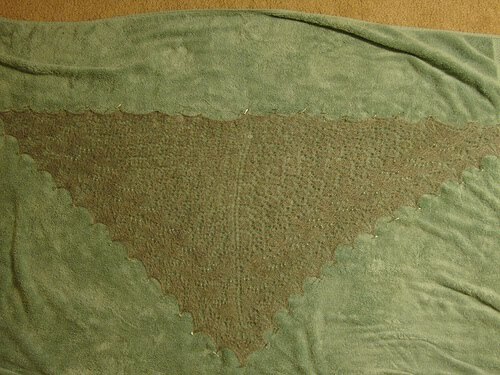 I finished the swallowtail shawl. I finished my blackrose socks, but have no finished picture. Just trust me, they look and wear awesomely. In addition, they accidentally went through the washer and dryer, with no damage! This had me worried, since I am pretty sure Claudia Hand Paint sock yarn isn’t technically listed as machine washable. The big accomplishment though? ARWEN IS DONE!! At a year and a half in the making, this is a huge accomplishment. I wore it every day for at least a week. I am a little sad it’s too warm to wear it now. Avalon got put into time out for having different dye lots- I have already ripped it back 3 times, and just was NOT in the mood to do it a fourth for now. I haven’t been blogging for a variety of reasons. first, work was pretty busy the first part of this year, wrapping up projects and kicking off new ones, which meant that by the end of the day I really didn’t feel like blogging again. In march, I found out my SO is being sent overseas for a year, leaving mid-June. Dealing with that and all the drama associated has kept me reasonably distracted from blogging and knitting too, unfortunately. I have also been working on a stealth project. The item is done, but won’t be revealed for a few more months. Trust me though, it’s worth it! I have been spinning a bit more lately- finished another roving from Christine Marie Potter. Her stuff is gorgeous, and I love working with it! 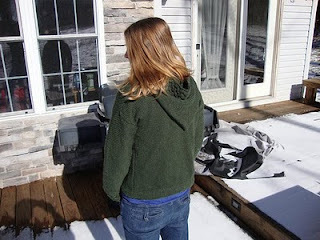 This is her Snow White colorway, in corriedale. I spun about 400yds of navajo plied light worsted weight yarn.